Brace yourselves. Its time for the weekly randomstravaganza. I fully intended to make my own laundry detergent. But Target didn't have one of the ingredients, and this smelled soooo good. Upon reading all about Jeannett's love for Threading I gave it a try. Maybe I'm not so tough after all. The dude next to me, getting his eyebrows done, was flinching too. Is it bad that my baby can walk better in my heels than I can? If you aren't on Twitter yet, I suggest you join right now. Twitter friends are like the friends that you want to take shopping with you, because they will encourage you to get all of the cute stuff. The stuff that you may or may not need. 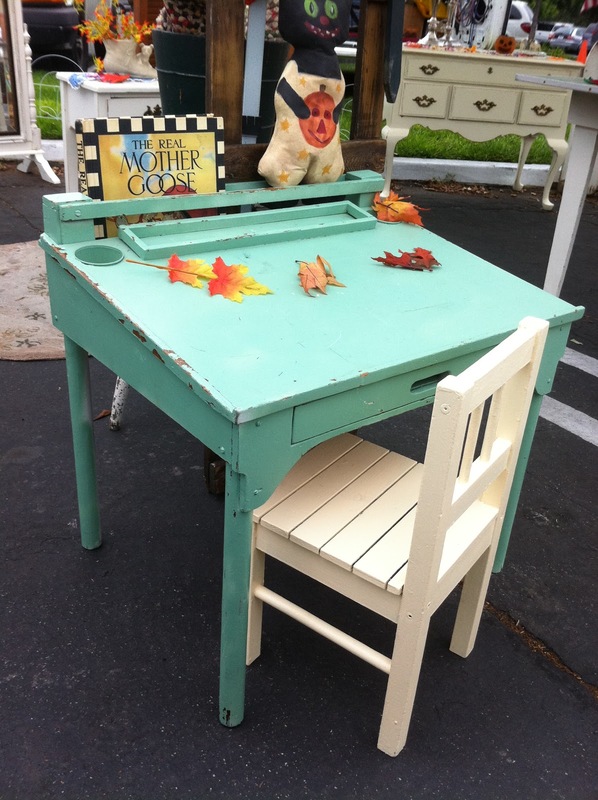 I tweeted a picture of this little desk with the words "yes? or no?" 100% of the votes came back as yes. How could I disobey? So now this beauty lives in our house. Thank you enabling friends from Twitter. 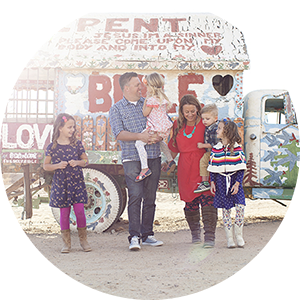 I want to do this sweet little gratitude project with my family next month. Today it's only $1. No Photoshop required. Even a little Fall-ish. The leaves are a changing. 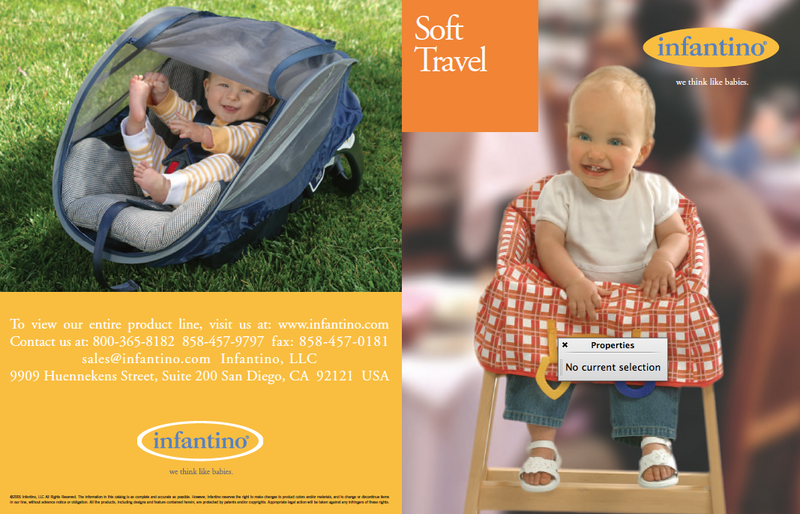 When Halley was a baby she did some modeling. I came across this old ad and it FREAKS me out how much she looks like Janey. Then it breaks my heart that she is so tall, does math, plays soccer, and is not a baby anymore. I hardly remember her this small. Sniff sniff. This is a real Starbucks cup. From a real Starbucks. For reals. I have been cheating on Burt's Bees. With this cute little sphere from Evolution of Smooth, thanks to Amy. It is awesome. Plus really easy to find in your purse. I am guest posting today over at one of my most favey blogs, Under the Sycamore. It involves spray paint. Lots and lots of spray paint. Until the next batch of random comes my way. you didn't tell me you THREADED???!!! So, did you hate it? Will you never do it again?! Say it isn't so! But aren't your eyebrows are perfect and delicious??? WOW to Starbucks! That's amazing and shocking and awesome all at the same time. Hi, I've been making my own laundry detergent for a while and I love it. The use the Dugger's recipe. The only place I've been able to find everything in once place is Fry's (Krogers). Don't know if you have one of those there. I just bought the same brand of the lip balm for shaving lotion. Completely random, because I had never seen it before and decided to try it. It's called vanilla bliss-love it! Don't give up on threading. It does hurt to begin with but the more you go the less it hurts. that S-bucks cup is even more perfect. i think i may frame the cup. threading? i doubt it's available in KANSAS! 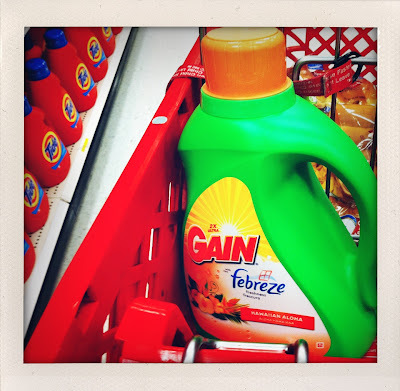 My most fav laundry detergent, like eva! Also, that desk is awesome. that is really a starbucks cup?! wowza. I thought it was a "starbucks-parody-knockoff-ish" cup from a Christian bookstore or something. Now, *maybe* I will buy some drinks from Starbucks. I quit giving them my $ after I learned they suppored Planned Parenthood & I had had many a very liberal messgaes on cups. When I saw that ad, I thought "Wow, that baby looks like Janey!!" I'm following you on Twitter now. For the record, I would have said a resounding yes to that desk too. Or no, and then ran over there and snatched it up for myself. Same difference. So thrilled your guest post brought me TO your blog! The desk is awesome!! Threading is awesome too it gets everything even those little blond ones. It does hurt as much as waxing but my skin appreciates threading so much more. And Meg I'm sure Kansas has it okc does in the mall no doubt!! On a Starbucks cup? Wow! 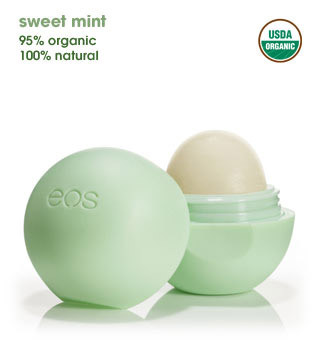 Love EOS lip balm! I won one in a giveaway once and have been addicted to it ever since! 1. Ugh...ouchy is right. Threading is icky. 2. I did make my own laundry detergent...Duggar recipe. Maybe the boys in our house sweat more than others, not sure, but it did NOT get the stinky out of our clothing to my liking. Disappointing :-( I am now using the Trader Joe detergent. 3. SO excited to try the lip balm. I love Burt's but can only use it @ work because my husband HATES the smell...so Burt and I have a covert relationship. Let me guess, Julie...no Borax or Fels Naptha? I am honored you linked back to little ole me! And that Starbucks cup is amazing. So nice to see God-breathed words--the TRUTH of God in peoples' palms. I was getting tired of Ghandi. I've never fully considered making my own laundry detergent, but I am fully committed to Gain. I love its fresh smell--and there's a Gain fabric softener too. Threading scares me. I'm proud of you. Thanks for preaching the awesomeness that is vanilla almond milk. I bought some this week and really like it. That school desk is FAB! There is no way you could have walked away from it. It needed you. Oh my goodness. That Starbucks cup. That is so wonderful. Only in Orange County. I have to admit that I stole your Starbucks cup picture. Some days we just need to remember that. I'm over here from Ashley's blog. I'm a 30 something, youth pastor's wife too! Us girls gotsta stick together. Of all the things to make "homemade" for cleaning, I'm told laundry detergent never works. We've made fabric softener sheets, glass cleaner, and several natural things but never tried that. Okay, so wondering on the shirt. 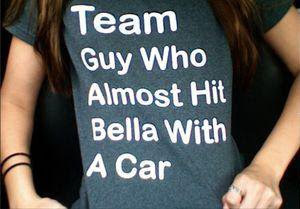 Have you seen the movie "Bella", makes me a bit sad if it's referring to that tear-jerker. Making my own laundry detergent does not sound appealing to me, but if it works and ends up saving me $$, I'll try it. But does it smell as good as my Tide with Downy?? 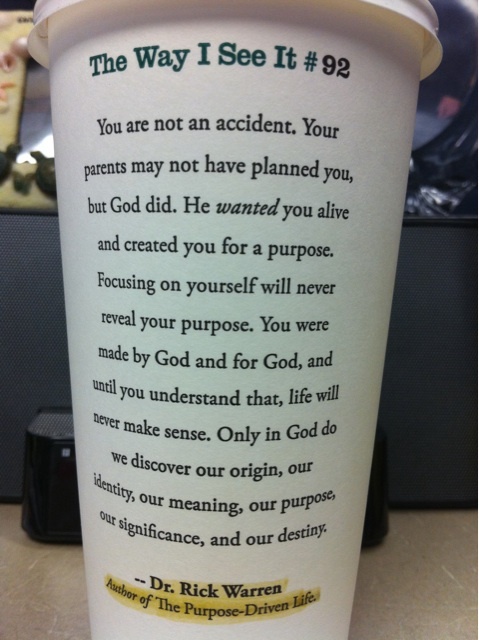 What an amazing Starbucks cup! I would have loved to had my coffee in that one! My hair stylist said she didn't know how the threading brow girls can stay in business - it's very unsanitary that they can put that stuff in their mouths...since at a beauty salon, a licensed beautician can't even put a bobby pin in their mouths or they will lose their license! I just made 3 jars of laundry soap tonight! My 2 year old helped me. We used the food processor (all the pieces were put in the dishwasher after I used it!) My clothes come out clean - and unscented for my allergy prone kids. Here is the same recipe - with directions for a cute container. i love that starbucks cup! Love, love, love the anti-Twilight shirt! Ok...just discovered your blog...can't wait till I have more time and can read back further than I did today! I love your design style...your humor...and am right there with you on your spray paint love affair! And I think you are doing good everyday and glorifying God with this little spot of yours! Omgoodness, I just bought some of that lip balm for $1 from my 'hood's garage sale and it's amazing! (Let me clarify: it was brand new, still in package; the lady is a buyer for a store and had tons of beauty products for cheap.) I love the Starbucks cup! 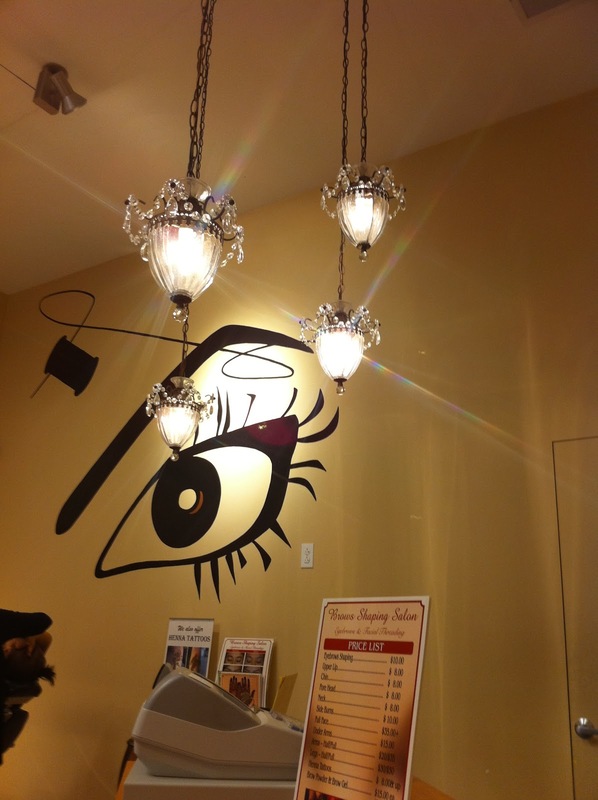 I think your blog is wonderful, an inspiration. I gave you a blog award. Stop by to claim it! I'm so glad I popped over from We Have This Moment. 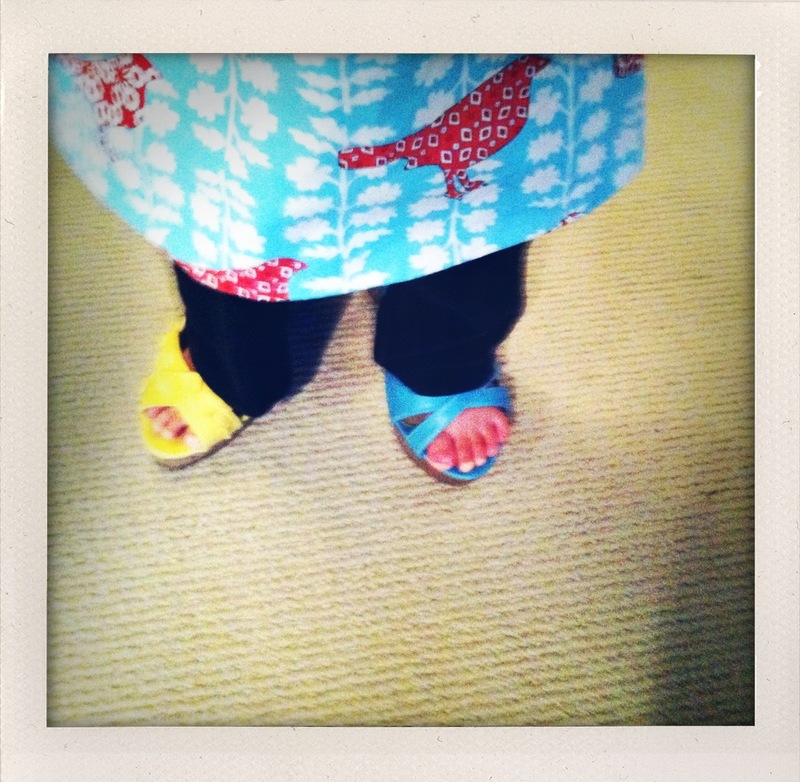 I'm Loving everything about your blog. So cozy and warm and fun and adorable. :) I love that you love Jesus and that you have a beautiful family! I look forward to visiting again! I stole that Starbucks cup picture to put on my facebook page...AWESOME and I hope you don't mind. Probably could have asked before I did it. really, r.w. on a starbucks cup. wow. i'm going to go check out this product you are cheating on burt's bees with. curious.